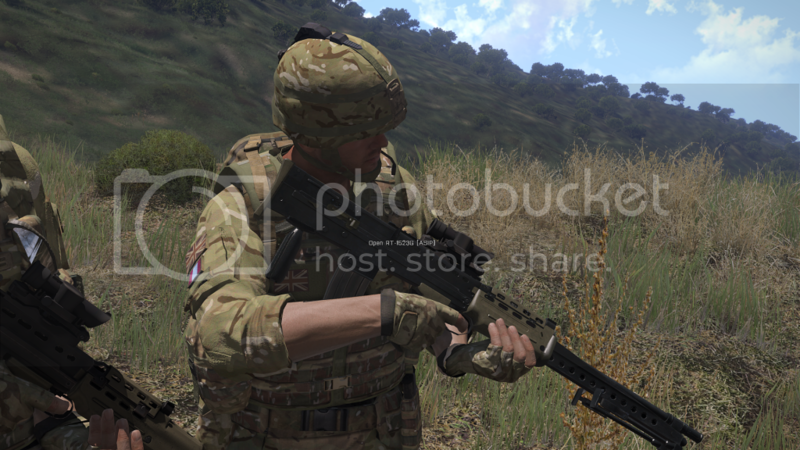 As i'm no longer going to be playing/modding ArmA, i'm putting up the source files for most of the stuff i've worked on etc. Some things such as the scopes included in the british pack is not present as i never got around to recreating them after i lost the source files for that original project. Do keep in mind that not everything included is originally created by me (in fact, none of it is as it's mostly BI models anyway) and if you use any part of it, credit the original authors as well and ask them for permission. Look under credits for each mod in this topic to see a list of contributors etc. I will not be providing any support or help that would require me to open/take a look at something, do feel free to ask simpler questions though and i'll do my best to answer as quickly as i can. BIS - A2 sample files. Some rifles have clipping due to unoptimized animations. Requires TFAR and CLF Additional Backpacks for the radio bag! Backpacks lack straps for now. Apache7 - Help with .rtm's! To toggle between direct/top down attack modes for Javelin, press "TAB" by default or rebind to a key of your choice in "\Arma 3\Userconfig\mdh_topdownattack\mdh_topdownattack_config". Bravo93 - Misc help with/around Javelin. 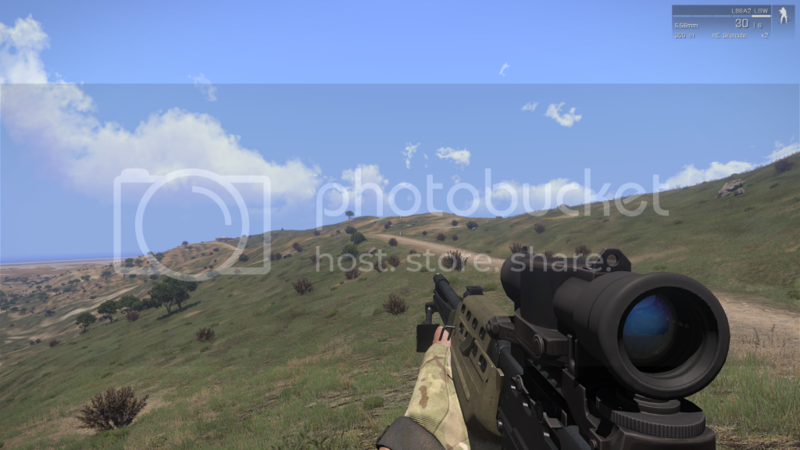 The L110A1/L7A2/L129A1 has animated bipods that can be toggled with your fire selector key (default: F)! I've also added custom ammo for each weapon that (should hopefully) inherit its stats from the vanilla ammo and they can also use said normal vanilla mags. All the 5 weapons come in their own separate .pbo's, completely independent of each other so you can pick and choose exactly which ones you want! Files are signed and server key included (not tested). There will most likely be random errors/features i've overlooked or simply missed, please do notify me if you find anything like it. Kiory - L85A2/SA80 Source files and help/motivation! StalkerGB - L129A1 Source files! Stiltman - Bipod config help! Bravo93 - Testing and misc bugfixing assistance! Sarah - For being a seahorse. If i forgot anyone, please let me know! Hey, great job, that looks really good !!! Excellent! Thank you. Does anyone know if this is compatible with the SUSAT in Kiory's L85A2 mod? No it doesnÂ´t... Trixie, could you make it compactible with the SUSAT (it seems not to be a herculean config job to add compactible optics to a weapon, just a lil hassle, and Kiory should lead you the right way) or even ASDG joint system? So we could use your acog in other weapons and use FHQ and RH optics in your L86A2! I see it works great with TMR bipod system, nice! This looks pretty damn nice. Would be cool to config with Kiory's Susat although we can actually open it up and do that ourselves I'm guessing? Then post the updated pbo back here? I will look into adding ASDG support for this weapon in the coming days, as requested. If anyone else feels like doing it right away, feel free! Foxhound, dropping you a PM later tonight about the Armaholic account! @Trixie would you mind me having a go at combining this with the Kiorys L85A2 rifle? Awesome port Dude, great job, thanks. Permission to use this in a mod of mine? @DarkXess - You mind elaborating on that a bit, do you mean combining everything into 1 .pbo? @Nightmare515 - Go right ahead, would be happy to see this used! No ASDG support just yet, sorry for the inconvenience but i'm working on a few other things currently that i'd like to get done before looking into that! While on that subject, what would be the interest of a L110A1, L7A2, AI AWSM & L85A2 w/ L123A1 along with a couple other things? Most of them are still in a WIP stage, especially the L85A2 with UGL as i've yet to figure out how to make a GL work properly with sights and zeroing etc! Also most of these weapons exist in one shape or another already in terms of M249's etc, so idk how big the interest is for yet more of them, mostly doing them for my own community at this stage as we're going for a British loadout later this month! We would die for an L7, mate. Positively so. Edit: There is definitely an interest among UK milsim groups (I speak for none in particular) for the L7, L110, the L85 w/UGL and the sniper rifle. Perhaps in that order? I arrange them in that order because there aren't L7s around, there are some M249 substitutes available, Kiory is apparently working on an L85 w/UGL as well, and the sniper rifle may be used less often than the rest. That's of course my own take on it. what would be the interest of a L110A1, L7A2, AI AWSM & L85A2 w/ L123A1 along with a couple other things? @DarkXess - Ah i see what you mean now, i can have a quick chat with Kiory about it i guess, see if we can work something out! Nice job on the L86! Sights look nice too! I would also echo serjames with regards to the need for the L129A1. You may see from my sig its somewhat of a favourite for me personally lol. Great news, thanks for checking. I agree with Bravo93. It is rly cool, but is very shiny. I also think that the green areas are too green, maybe you should make them the same colour as kiory's L85A2? Make the texture more "dusty"? I'm painfully aware of the texture problems (including the glossy/shiny effect it's giving atm), but i've only been doing this for just about a week now, so i'm very much a complete noob at it still! I'm gonna try to figure out the whole texturing process and tinker around with it to potentially get some really good textures going later on, just gonna need some time as i have quite a lot on my plate as it is already with various things, not just ArmA! :) If there is anyone who knows how to fix these issues and potentially steer me in the right direction in terms of retextures etc, please drop me a PM, it would be very appreciated! As for an L129A1, it is also one of my all time favourite weapons! As far as i know there was none in A2 though and without that it's gonna be a long time before i learn modeling well enough to make one from scratch that looks good. There was one, hidden as part of the "BritMTP" pack. It's a nice model but didn't seem to shoot straight... i.e. was not zero'd properly. It's possible it wasn't configured to work with ACE, not sure, I genuinely don't know the history. Hope you don't mind Trixie but I actually went ahead and transplanted Kiory's textures onto your L86 just to see how it would look. Your weapon and his are textured very differently whereas in real life the L86 and L85 use 80% of the same parts so they very much resemble eachother. I would've asked permission from yourself and Kiory but as it's all 'open source and you'd already used some of his textures thought I'd make it first just to see how it looked then see if anyone liked it before maybe getting permissions to give it to anyone who might want it. It was a pretty quick job, only took about 20-30 minutes so it could look a bit better with some more attention. The thing I wanted to change most were the magazines. Obviously both guns take 5.56 stanag and I believe you're using Kiory's magazines so I tried making them the same. Your version definetely looked a more battle hardened magazine whereas Kiory's looked straight out the box. Your whole weapon looked like it had seen a few conflicts which is certainly not a bad thing although due to Army 2020 and all that stuff I don't think you'll see too many British soldiers using weapons from the first Gulf War anymore. Was only 20 years ago we stopped using the SLR and the Bren gun, man times change fast. Anyway, I don't know which looks better (the wartorn version or Kiory's cleaner version. Think either has their merits.